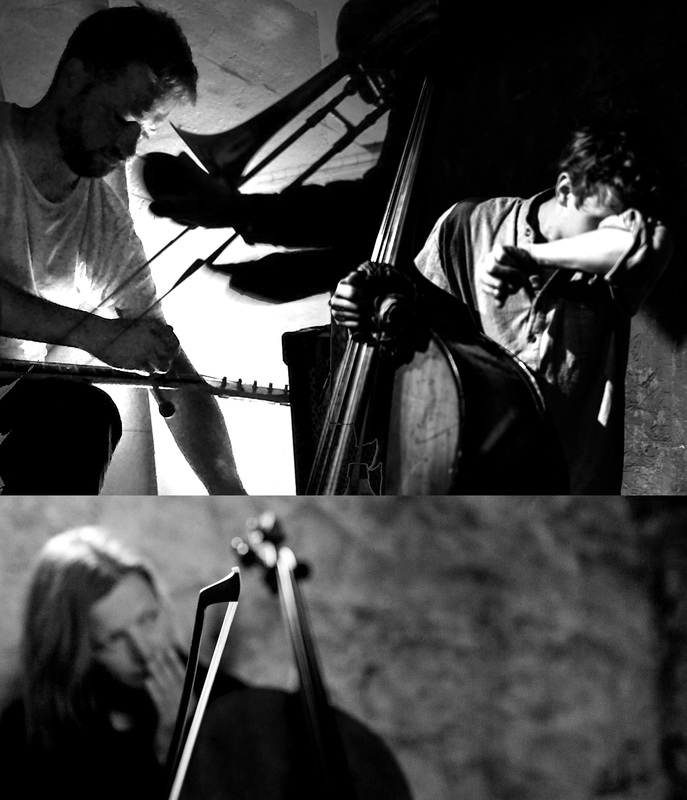 8th August at IKLECTIK Art Lab: Trio & Solo – Earshots! 20 Carlisle Lane ( Royal Street corner ) next to Archbishop’s Park. Using a combination of feedback, conventional guitar techniques, and instrumental preparations, London-based electric guitarist James O’ Sullivan exploits the full sonic potential of electric guitar, amplifier and the environment in which both are placed. His interest in improvisation, recording and performance has led him to record and perform internationally, both solo, and with numerous improvised music groups. More longstanding arrangements include Found Drowned, a power-trio with Pete Marsh and Paul May, and his collaboration with Thanos Chrysakis on several releases on the Aural Terrains exploratory music label. His debut solo album ‘feed back couple’, was released on the Forwind label in 2011. Tom Wheatley is a double bass and electric bass player based in, and native to, London. He plays to open the bass – sonically and physically, musically and surgically – as to open suppressed musics. He is actively involved in new music communities of London and elsewhere, playing with Seymour Wright, Hebronix, Eddie Prévost, John Edwards, CYNTHIA, Mark Sanders, Yoni Silver, Billy Steiger, Denis D’or, Ute Kanngiesser and many others. Edward Lucas is a trombonist from London. He predominantly plays new and improvised music with many players and groups from London and beyond. He has been involved in this trio with Tom Wheatley and James O’Sullivan for the last few years, soon after they met in the improvisational workshop sessions convened by Eddie Prévost. Together with analogue synthesist (and long standing musical partner) Daniel Kordik, he runs the Earshots Recordings label and concert series. Ute Kanngiesser is a German cellist based in London. Most recent and regular collaborations are with Billy Steiger, Seymour Wright, Tom Wheatley, Paul Abbott, Ross Lambert, and Guillaume Viltard.